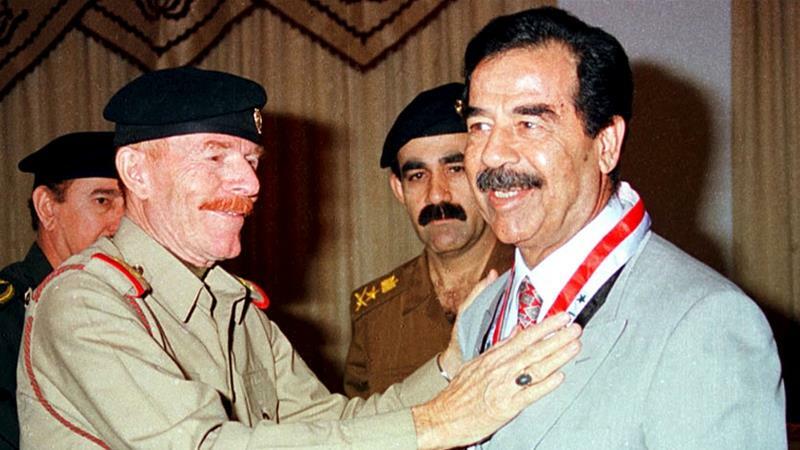 The Iraqi government has placed the name of late Saddam Hussein’s daughter, Raghad, on the most wanted list, together with 59 other individuals. The 60 people are wanted on suspicion of belonging to the Islamic State in Iraq and Levant (ISIL, also known as ISIS), al-Qaeda or the Baath Party. The list, seen by AFP, includes the name of Saddam’s daughter, Raghad, who lives in Jordan. It also features 28 suspected ISIL fighters, 12 from Al-Qaeda and 20 from the Baath party, giving details of the roles they allegedly play in their organizations, the alleged crimes of which they are suspected, and, in most cases, photographs. All are Iraqis, apart from Maan Bashour, a Lebanese man accused of recruiting fellow citizens to fight in Iraq.